At Goodwill, we believe holidays are meant to be spent with family and friends. 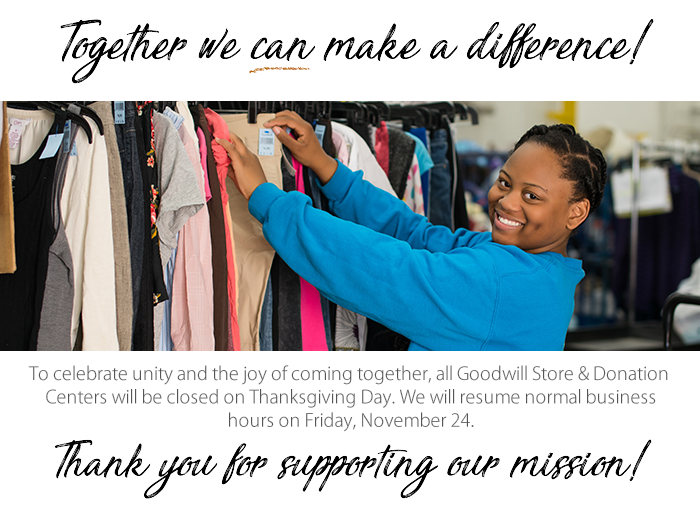 As a result, all of our Goodwill Store & Donation Centers will be closed on Thursday, November 23 so our associates can enjoy the holiday with loved ones. 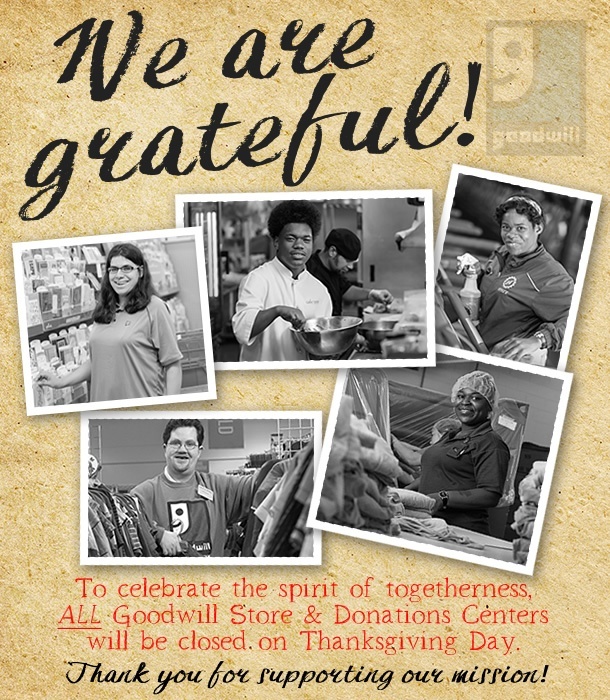 Thank you for understanding and thank you for continuing to support Goodwill's mission! We will resume normal business hours on Friday, November 25th.